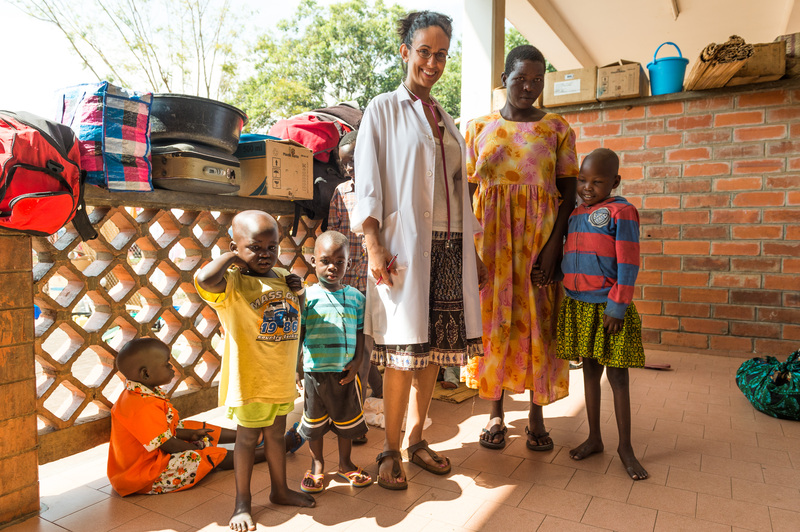 Dr Valeria Calbi, an Italian haematologist (see picture) spent several years working at the Lacor hospital in the Gulu district in Northern Uganda. In charge of the children's ward, most of her patients, as would be expected in Equitorial Africa, had Burkitt lymphoma, which is now known to be caused by Plasmodium falciparum malaria and probably Epstein-Barr virus, which are thought to complement each other in the development of the disease. Dr Calbi worked closely with Melissa Adde, INCTR's Executive Director in documenting the proportions of patients with disease at different sites as well as the response to treatment in terms of survival rate and toxicity encountered. Financial assistance for the cost of treatment (a standardized protocol was used) and documentation of sites of disease and treatment outcome was providing by INCTR funds collected by Mr Geoffrey Thaxter, a member of the Board of Trustees of INCTR Challenge Fund and OFID (OPEC Fund for International Development). INCTR's Executive Director, Melissa Adde coordinated the various components of care, including the purchase of chemotherapy, and worked with an informatics expertert (Jovan Vladic) to create a data-base in which disease extent and treatment outcome could be diocumented. Dr Calbi also initiated a program of public education to attempt to educate the people, especially those living in distant villages so that they could recognize children with signs that could indicate cancer. Such patients underwent diagnostic tests and necessary chemotherapy was initiated as soon as possible after a diagnosis had been made. Although the results of the study, which included 118 consecutive patients were excellent, the extent to which early diagnosis improved tolerance of therapy could not be accurately determined since there was no randomization to Early Detection versus no attempt at early detection. Similarly, even comparison of patients who present with different stages of disease is not easy, since the examination of patients had not been standardized. Thus, this study remains to be done. Dr Calbi did an excellent job and the data relating to the 118 patients - 71% survival at 3 years - is probably the best reported from equitorial Africa so far. In fact, Dr Calbi's departure was immediately followed by a drop in survival, even though several of the doctor's now looking after patients had been working closely with Dr Calbi for some years. A second conclusion, therefore, is that training and education needs to be improved.